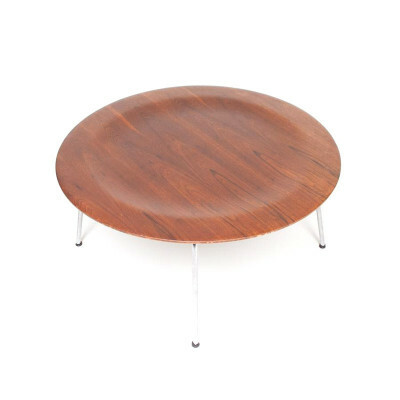 What was the Eames CTM coffee table? From the first plywood series of furniture released in 1946, CTM was the abbreviated name for the Coffee (C) Table (T) with a Metal (M) base. 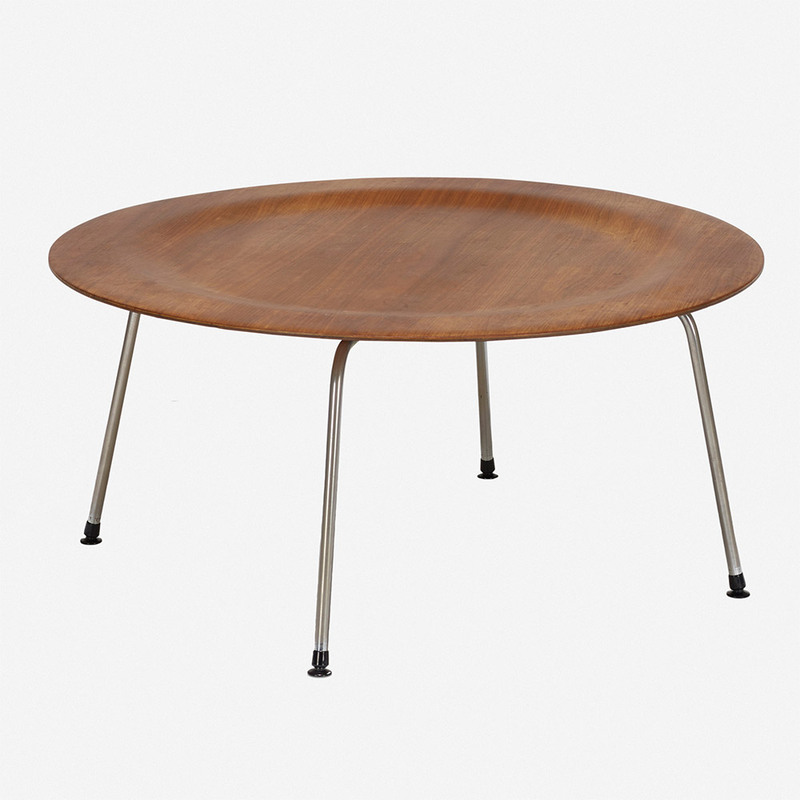 The Eames CTM coffee table consisted of a circular top made purely from 5 layers of molded plywood and a chrome leg base frame. 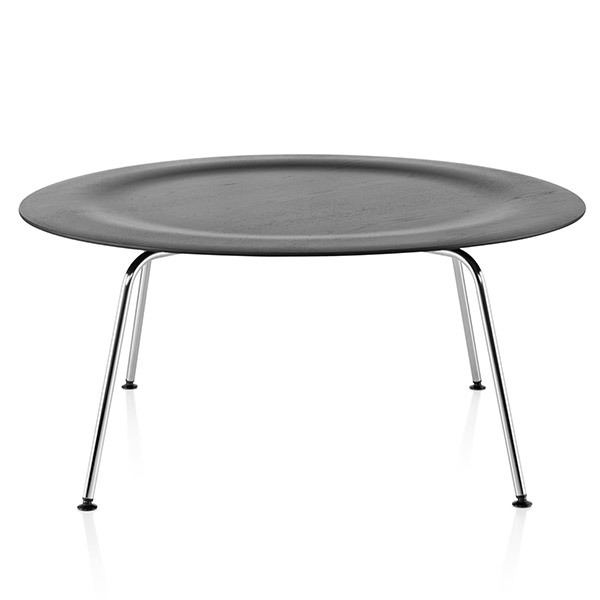 The circular top of the Eames CTM table was designed with a pronounced edge leading into a slight incline towards the center. Not only did this provide a visually interesting detail but also a means to keeping placed items from being knocked off or falling from the table. 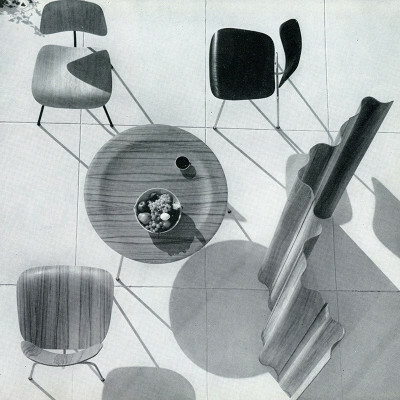 The 1946 plywood series of tables and chairs were the first adult Eames designs to be released to the market place, as a joint venture between the Eames Office and the Evans Molded Plywood Company. The series would also be the first to use the concept of utilizing varying bases with identical tops in order to create variety and choice. 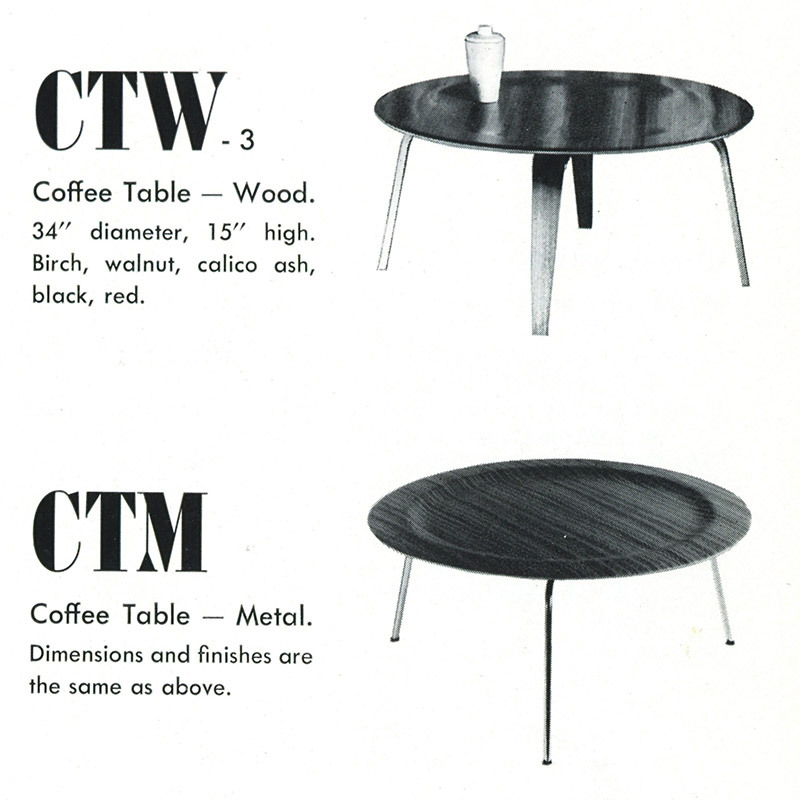 The metal leg CTM coffee table was matched with the LCM (Lounge) and DCM (Dining) chairs, and their equivalent wood based models were the CTW, DCW and LCW. The Evans made tables were initially available in 3 natural veneers and two aniline dyed colors of red and black. 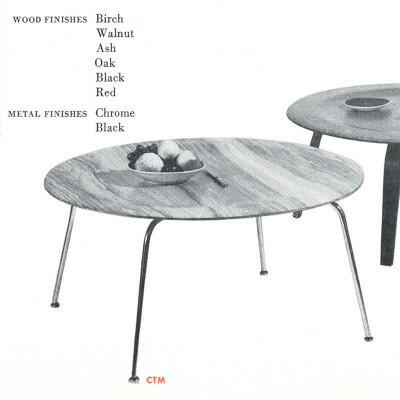 Once Herman Miller took over ownership and production of the series in 1950 they added a further wood finish and the ability to choose a black frame as well as the original chrome. 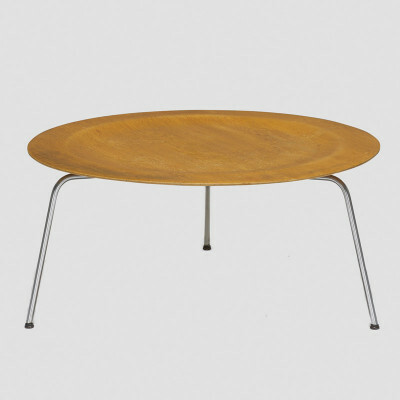 The table would have a fairly short lifespan and ran only until 1957 when it was discontinued. Fans of the design would have to wait some 50 years until it was re-issued by Herman Miller in 2007. 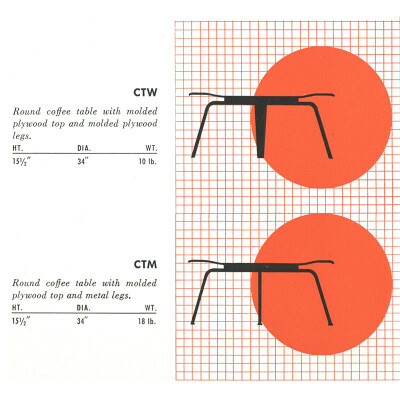 What are the original sizes of the Eames CTM table? 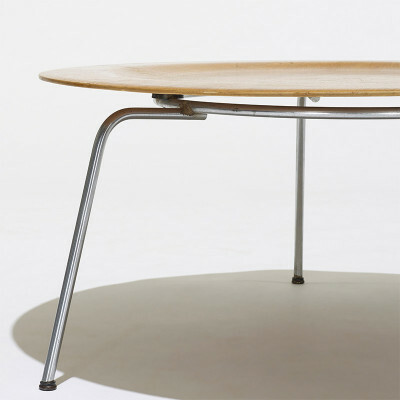 What materials were used to make the Eames CTM Table? Generations in any furniture design are entirely open to interpretation and are almost better being described as tweaks and natural developments than fully blown 'generations' as most were not intended. Many are improvements, changes due to components or new finishes and materials. But there is benefit to trying to define them, as it helps the collector, buyer and seller to recognize what they have, date and of course value the piece they own. 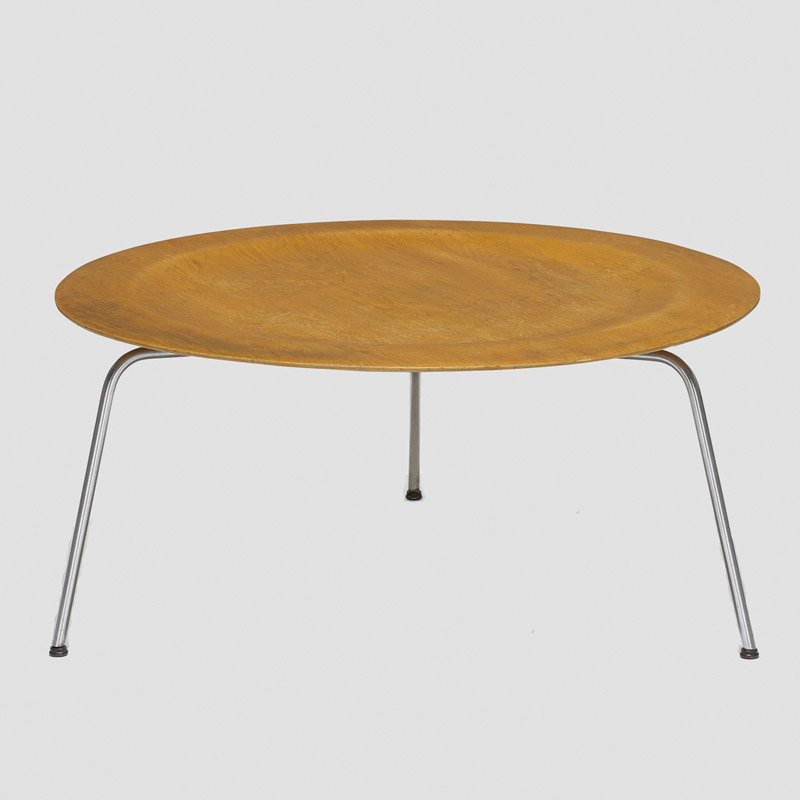 The first CTM tables are very clearly recognizable as they have only three legs and a circular frame onto which the legs are welded. Many wrongly state this table as 'pre-production' or 'prototype' but this is not correct, they were released initially in this guise. 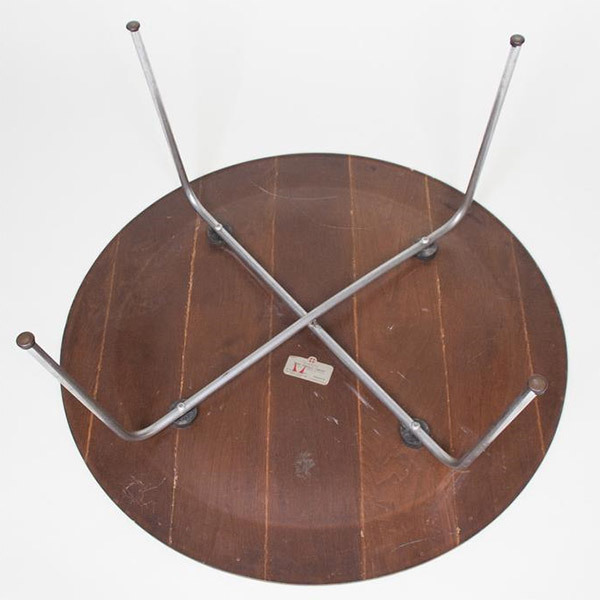 The Evans made tables of this type were rarely labelled, some may be found with paper or medal labels, the majority merely had the model scrawled onto the underside of the top. 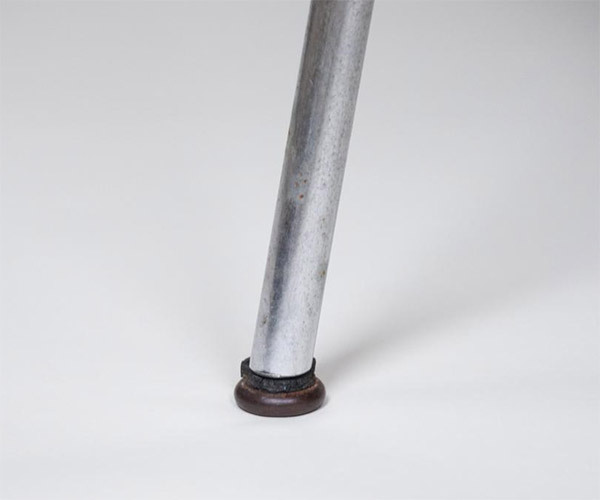 The legs were only available in chrome and the feet were the 'domes of silence', a rubber and aluminum mix foot used on all of the early plywood series. The CTM was changed to stand on 4 legs from the previous 3-legged version. 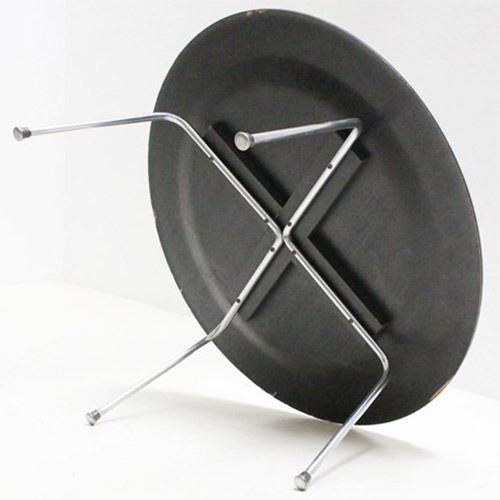 The entire chrome frame and underside design of the table was replaced, with the new version consisting of two pieces welded in the center where they cross. The two support slats were also removed and circular rubber shock mounts employed instead. The second generations generally have the Evans Foil label which they had settled on for the majority of the series production. The generation retained the 'domes of silence' feet. Herman Miller, whom had been distributor for the Evans made series, took over ownership and manufacturing. They proceeded to change the base design once again. The generation went back to the first Evans type with two support slats on the underside and removed the shock mounts. But instead of using two pieces that crossed in the center they cleverly utilized two metal pieces bent at right angles, on their side which could be screwed nice and flat to the support slats. Early Miller tables may have the model name CTM stamp impressed into the underside of the top. They also began with domes of silence but quickly moved into using push on boot glides. 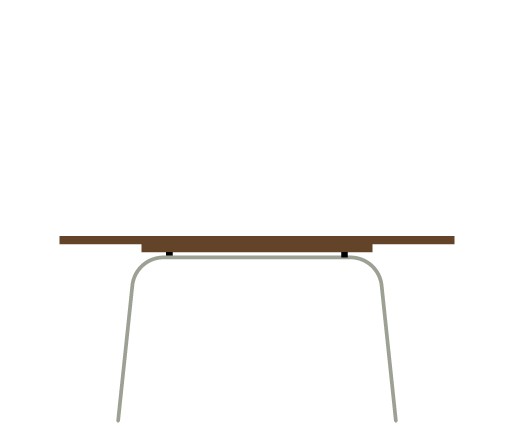 Following a discontinuation spanning 50 years Herman Miller re-released the table in 2007. The design remains largely unchanged from that of its vintage predecessor apart from one or two small variations. The newer editions will be easily identified with modern labels and date tags. Is my Eames CTM table authentic? What makes it valuable? The Eames CTM Coffee table has been a target for reproduction makers over the last couple of decades however it is unlikely they will be able to replicate the quality of the materials used in the original. Labels and stamps (both Evans and Herman Miller) will always be the first indication of authenticity. Modern reproductions tend to target the new post 2007 model with nylon glides. Check that the generation of the table (as outlined above) matches any label found on the underside of the top. Replacement Evans labels have been seen which tend to be 'too red' and too new. Should one appear on a Herman Miller build then this could indicate a problem. Look out for the clear ageing of the materials, the distinctive vintage Walnut, Birch and Calico Ash will have deep grains. The aniline dyed red and black vintage tables will likely have natural fading over time. Age is the highest factor of value. 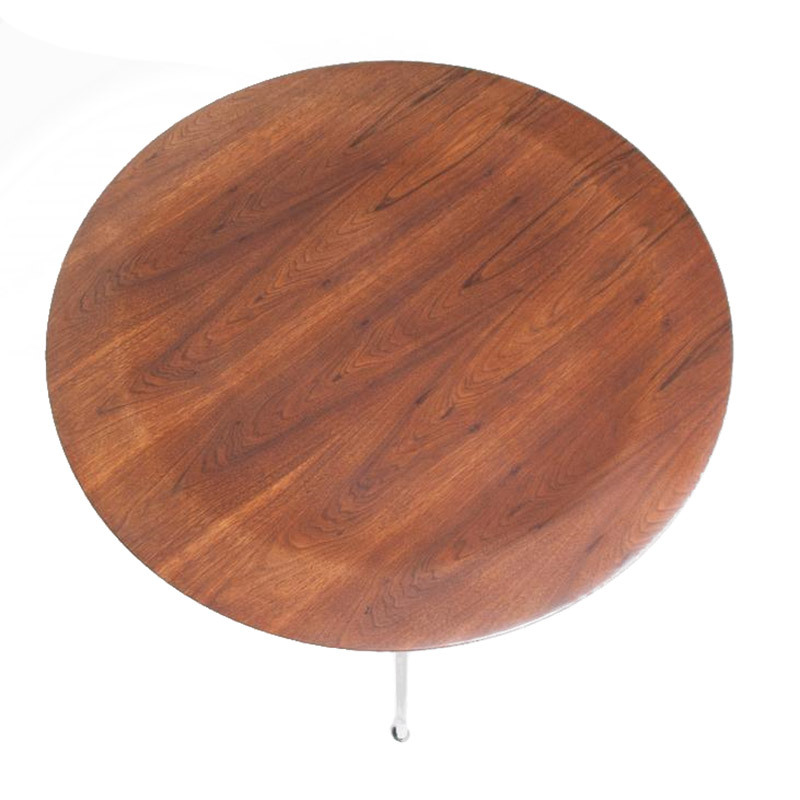 The 1st generation 3-legged Evans table will almost certainly attain the highest value, but all early variations will yield higher than the post 2007 tables. Condition is then most important and as a coffee table they are susceptible to wear. Look for chips in the edges and scratches or hot drink rings in the top veneer. Tops can be refinished in some cases.